So, after Gault Millau, yesterday it was the Red Guide’s turn to announce the restaurants that they found so good in 2014 that they deserved a Michelin star….there were no restaurants that received a 2nd or 3rd so it was a bit of an inferior vintage…Nevertheless there was a huge turn out from the industry and a large part of the Belgian and Luxembourgish (Belux) Michelin starred chefs made their way to Ghent. You probably know that I have mixed feelings about guides. Obviously, even I still consider the Red Guide as a reference, even though I do not always agree with their choices when distributing the much wanted stars…the Culinary Oscars. I have specifically been struggling in the past with the relative comparability, both within a country and internationally. This has predominantly been the case for the 1* segment. I was curious to see if in 2015, things would be different…. The Belux area counts 137 Michelin starred restaurants in 2015, three 3*, seventeen 2* and one hundred seventeen 1* (of which 11 newcomers). Finally, six restaurants lost their star. It was very clear from Michael Ellis’ introductory speech, 2015 is all about going back to basics…back to ingredients and simpeler, purer preparations. This was clearly reflected in the new stars…mainly restaurants that could be qualified as ‘gastrobistros’. With classical cooking becoming seemingly unfashionable, I was very concerned that Geert Van Hecke’s De Karmeliet would have to return one of their three stars…but this wasn’t the case…He continues for a twentieth year as one of Belgium’s 3*’s. No changes in the 2* department. So what to conclude after this edition? First of all, making a guide is one hell of a difficult job…it’s never going to be perfect and there will always be criticism. Secondly, I am not convinced that the trend towards simplicity is doing the status of the Michelin star a lot of good and last but not least…the 1* segment is again showing some painful inconsistencies. Ok, statistically this is probably unavoidable if not in the least because the fact that this segment has the largest number of restaurants…but hey, there are still very good bloggers around too 😉 They keep the pressure high and provide a very fine addition to the red guide. 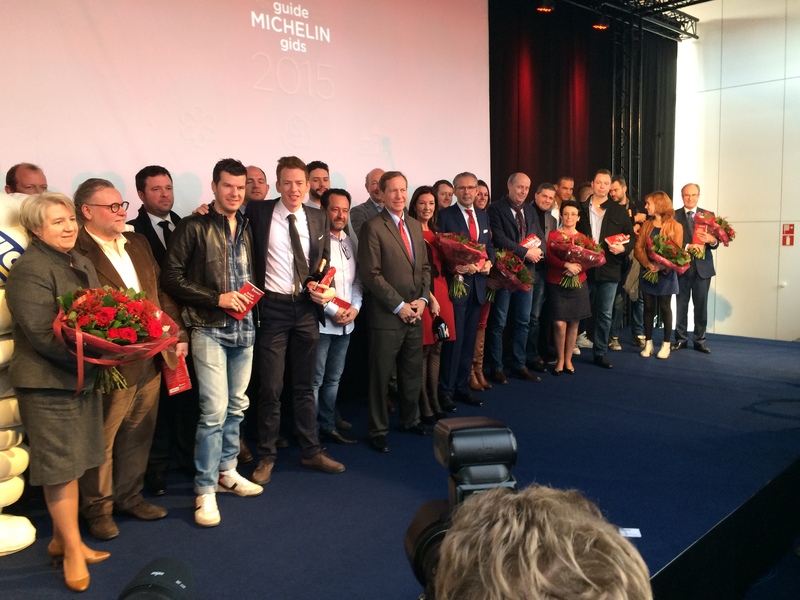 This entry was posted in Industry, Michelin and tagged Belgium, Luxembourg, Michelin on 25 Nov 2014 by dilipvw.